DeJarnette Designs: ART FOR SALE! 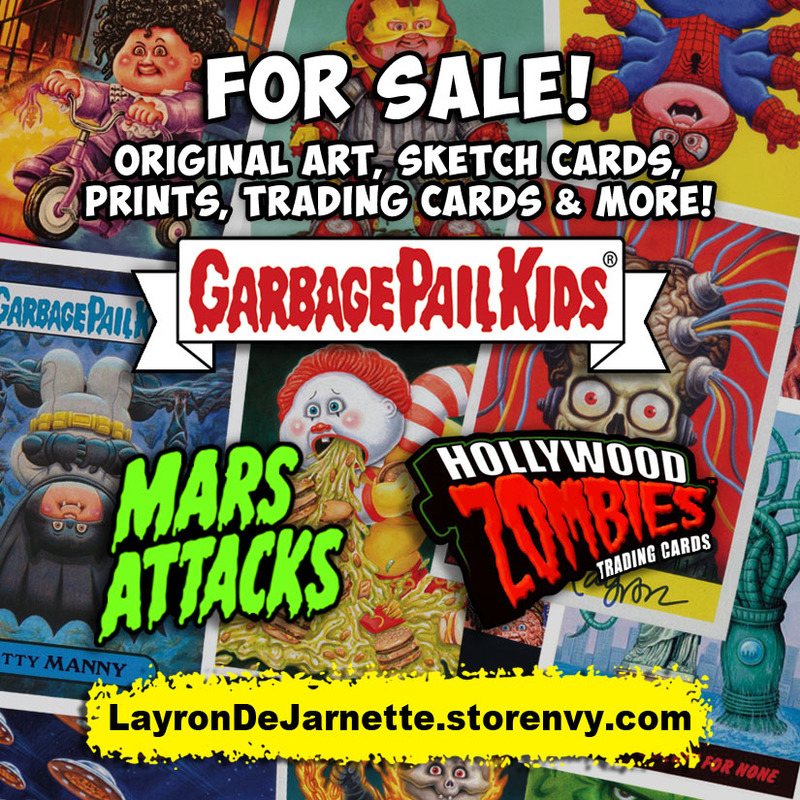 Garbage Pail Kids, Mars Attacks and MORE! ART FOR SALE! Garbage Pail Kids, Mars Attacks and MORE! FOR SALE! 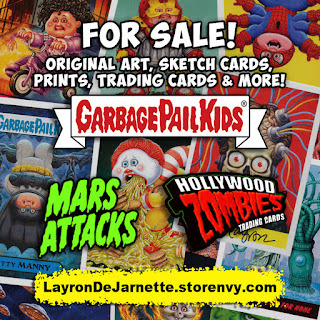 Original art for Garbage Pail Kids, Mars Attacks and more! FOR SALE Gross Card Con Exclusive Trading Cards! FOR SALE! Final ART: GPK, Mars Attacks & MORE!